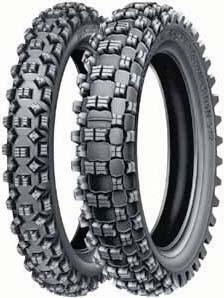 Every aspect of Michelin Cross 12 XC tires has been designed to maximize traction. Their aggressive, terrain-speciﬁc knob patterns bite down hard while resisting chunking. The Cross 12 XC casing is designed to absorb impacts with less rebound, so the tires spend more time on the ground for outstanding acceleration, braking and steering. 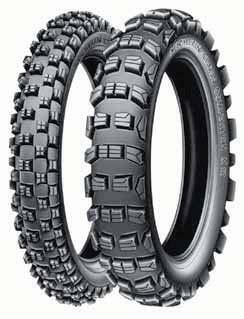 The S12 XC is a highly versatile tire that performs in a variety of terrain. The M12 XC is ideal for intermediate terrains. Massive knobs resist tearing on hardpack Widely spaced knobs shed mud quickly. Dependable traction and steering in mixed conditions.